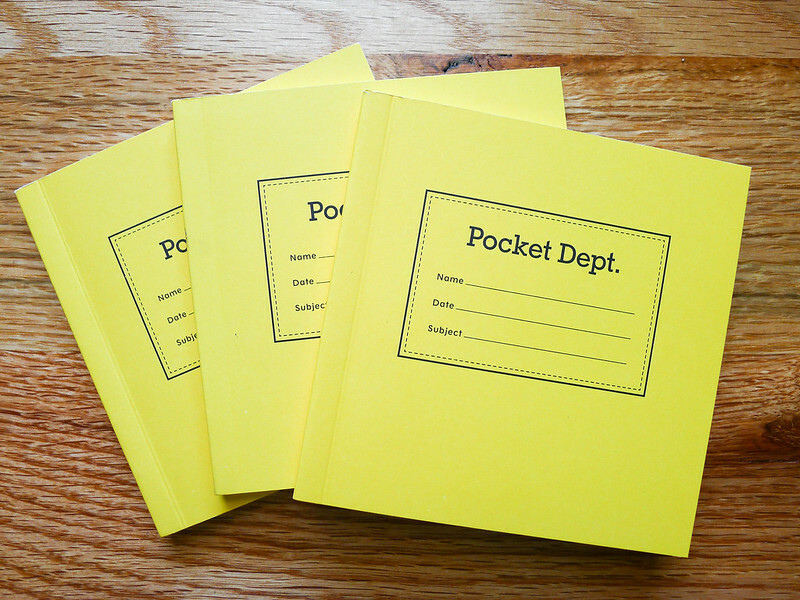 "Pocket Dept: A notebook for every pocket." That is the tagline for a fresh line of notebooks designed and manufactured with recycled materials from Art House Co-op in Brooklyn. Being the fan of pocket notebooks that I am, I of course had to check them out when JetPens started stocking them. As dedicated as I am to the standard 3-1/2" x 5-1/2" memo books I love trying out new notebooks, especially in non-standard sizes like the 4" x 4" Back Pocket Notebook. 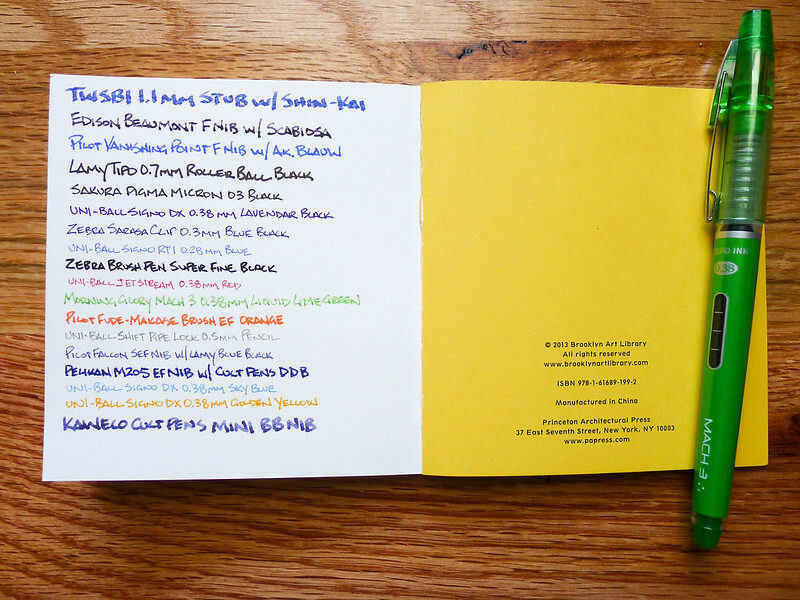 What looks like a stack of Post-its is actually a well put together, sturdy pocket notebook. In fact, I think it is too sturdy for back pocket carry. It doesn't have the flex of a 48-page Field Notes - it's more Costanza Wallet-feeling in my back pocket. Carry style aside, this is a nice notebook that I think works well in a backpack or purse. 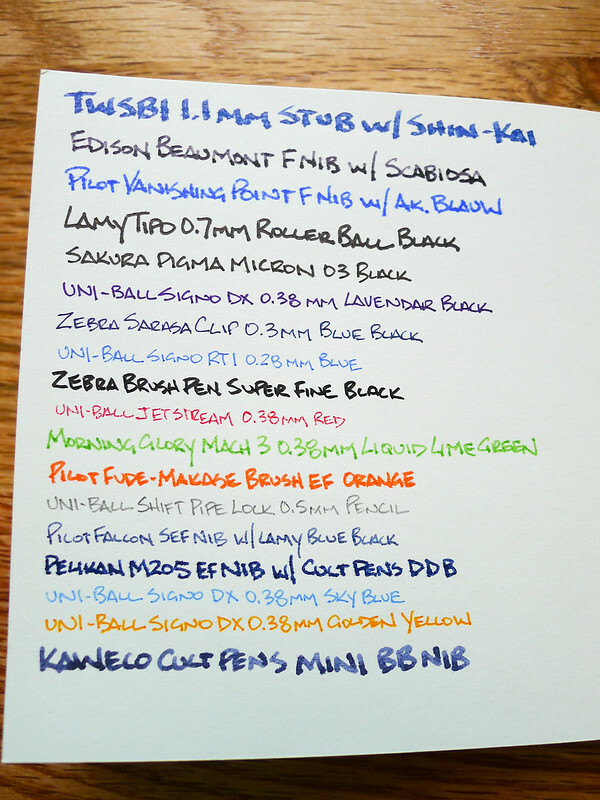 The paper is standard all the way around, meaning it works well with most gel and ballpoint pens, while showing slight feathering and bleed with roller ball and fountain pen inks. Some work well, you just have to test them out to find the right fit. 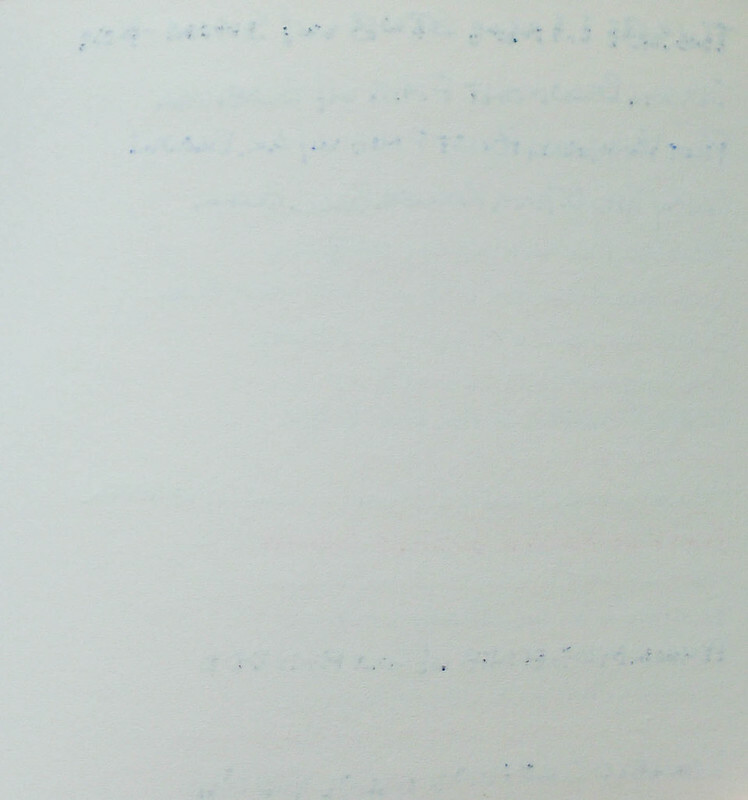 For example, my wider-nibbed fountain pens showed through to the back of the page. That is completely expected behavior. One odd thing with the Pocket Dept notebook: It is made in China. There is nothing wrong with that inherently, but reading up on the product, looking at the design origination and the group involved in making it, it looks perfectly suited for a Made in the USA notebook. I assumed it was honestly. Not a big deal, but it made me say "hmmm". If you are looking for something new to try and the 4" x 4" dimension fills a need, you will enjoy this notebook. For me, it isn't going to break into the regular rotation any time soon. Posted on October 7, 2013 by Brad Dowdy and filed under Notebook Reviews.